In 1978, a small christian folk rock band in Edinburgh released a farewell album to celebrate six years of making music together. The album was made on a shoestring budget and only 500 copies were pressed. The musicians went their separate ways. Thirty years later, the record has become a collectors item. A CD version is available on Amazon and it has been described as one of the best folk rock albums of the seventies. So, with all the hype and the misinformation that seems to have followed it, we found ourselves obliged to set the record straight. And what better way than our own web site. ‘WEBLOG’ for current activity, ‘NOW’ for news of new music making, ‘THEN’ for a historical perspective, and ‘LINKS’ to migrate to other related websites. Greetings. In the 1970s I was at Hull University and one of you visited (a girlfriend there?) and did a song in dialect ‘Caedmon gi’ us a song’???? Today rummaging through my record cupboard I was surprised to find I have not one but two copies of the vinyl album ; does this mean I am a millionaire?? (although at least one is very well played). I also have the more recent CD version – I (and friends who have heard it) still rate it very highly; ‘Beyond the Second Mile’ is probably amongst the best dozen songs I have ever heard (subjective opinion). Please let me know if yiou release anything more material (have both CDs) or come and play anywhere near Newcastle….. I too have produced a vinyl album – 100 ciopies – long ago, and someone in Poland was trying to sell one for $1500; so I am afraid that high price need not necessarily mean quality – however, this may not apply to you…. We’ve recently been recording in Weardale (close to Newcastle), Pete, and have a number of brand new tracks in the mill. I was said boyfriend with the ‘Saturday neet we’re aal aal reet, Caedmon sing us a song’ song. I’am happy cause i have just found our blog……I thing you don’t remember me but i was comming in 79 in Scotland with Daniel Scheffer a friend from “Lorraine” in France ….I was too a friend of Peter Geddes a scottish man from Glasgow….I have see you …..we have drinking …..We were drunk ……If i remember it was in december 79………And I have your LP !!!!!! Very good music ……!!!!!! I listen often this record……My prefered song is “Give me Jesus”……Have you other records ???? ?and where can I buy your music??????? Hi Andre. Did you come to Newcastle in 1979? A French friend came about that time and read a ‘Phenomena’ book of mine. It detailed a rainstorm of live frogs falling upon a French village ……. and you said you were there when it happened…….? We’re steadily getting a new album together …… we’ll let you know when it’s available. Caedmon in 2010? Who would have thought it in those Edinburgh student days in the 70’s. Don’t think I even expected to live this long in those days. I remember going to see you one night and there was a band on before you. 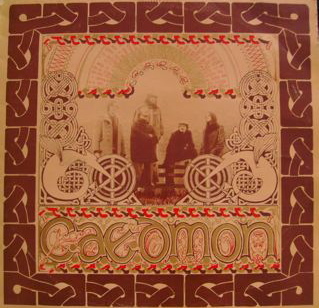 They thought they were cosmic (unlike the audience who had really come to hear Caedmon) and kept going, going, going ……… all of the evening – leaving only a short time for Caedmon to play. Will the new work of Caedmon reflect the long and varied journeys the band members have taken in their lives since then? Ken, you walking into my waiting room after about 30 years was a great moment. Think I was in a state of shock that day. Keep in touch brother. Good to hear from you. You still wield a scalpel with authority! Yes, rumour has it that the concerts will be at the Scottish Storytelling Centre (what was The Netherbow on The Royal Mile) on 7th and 8th May. Will you be able to make it up north? I see it is over a year since I commented. Hey, if you are just over the hill in Weardale you should drop in for a coffee (I am at Riding Mill; to get an idea of directions go on you tube and put in ‘Pete Ryder’ and ‘A68’….. I am about to start recording a new album, with a friend, Sian Harry, whonm I last recorded with in 1978 so there is a fearful symmetry in all of this. Best to book tickets direct with Scottish Story Telling Centre. Intrigued by A68 you Tube instructions, will have a look now. Have duly booked 8 tickets for 8 May (2 generations of Ryder & Walker families). any possibility of a preliminary giglet in this neck of the woods? Offer an acoustic set at the BAAfest (Bellingham All Acoustic festival on 1/2 May? (can recommend you to the folk running that). Last week we had a gig-for-Haiti in the Riding Mill Village Hall (and raised £2.5k), with Gareth Davies Jones fronting – he is a local (Wylam) singer songwriter (headingwestmusic.com) whose stuff would sit well alongside yours. I think we’d have trouble if BAAfest take the AA bit seriously. The 1/2 May would be the end of our recording week in Solway. I’d be up for it…….. others may be dashing for home after a tiring time ….. but I’d be home! Thanks for getting in contact Andy. The Rothbury rock buns remain only as a fond memory now. I finger the Egon Ronay ‘Just a Bite’ guide every ten years or so to remind myself of those exciting food-led times. Chicken is now The Main on our menu, release date is very soon. (‘A Chicken to Hug’ is the new album, out before Christmas). Just played my vinyl copy of the 1978 album (EGR. 001). Do not know if it is an official release, approved by the band. It sounds like it was taken from original master tapes. But strangely enough ‘Give me Jesus’ was omitted. To me the album’s standouts are: ‘Death of A Fox’; ‘Sea Song’; Beyond the second Mile’; ‘Living in the Sunshine’. Nevertheless in any format: “May Caedmon’s music vibe ’till eternity”.